Do you make more than one batch of soymilk at a time? If so, you might be able to use up a lot of okara if you make this recipe, which calls for nearly two cups of the stuff! Take these bread cubes and distribute them evenly along the bottom of a well-oiled 9-inch by 13-inch baking pan. on top, ensuring that they are evenly distributed. Liquefy completely. 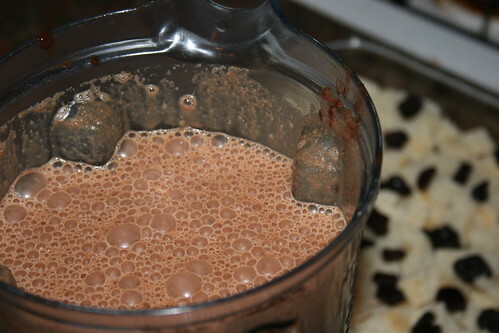 Add the rest of the chocolate mixture into the blender and blend thoroughly (if your blender is big enough -- otherwise do this in two batches). 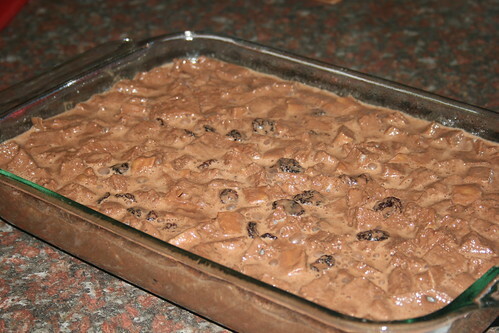 When chocolate-okara mixture is completely liquefied, pour the mixture evenly over the bread cubes. 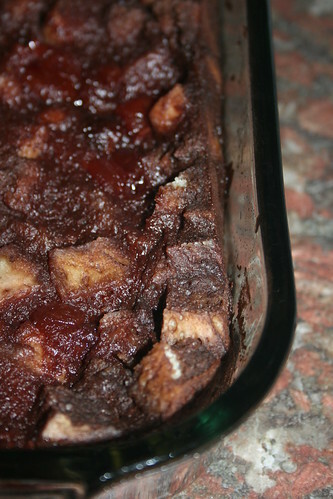 Pat any floating cubes down into the chocolate mixture with a spatula or spoon to ensure that all of the bread is covered. thoroughly. 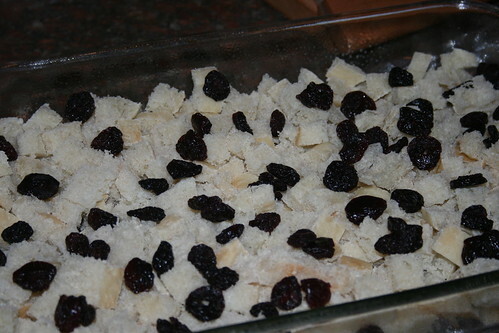 Pour the cherry mixture evenly over the bread-chocolate mixture. Verdict: I think this tastes great, but it might be fun to experiment with liquids aside from soymilk. 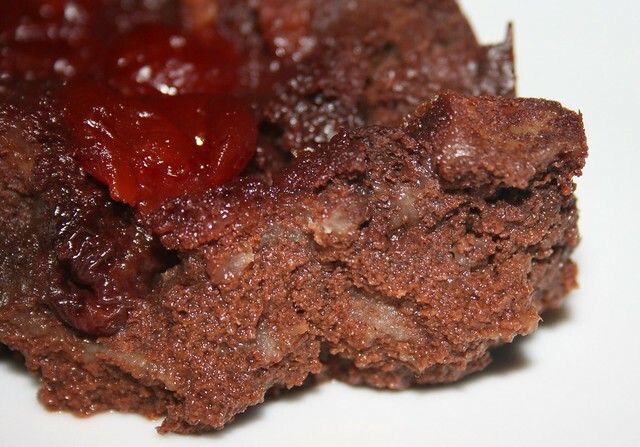 Perhaps coffee or some kind of liquor could give this dessert a deeper and richer flavor. 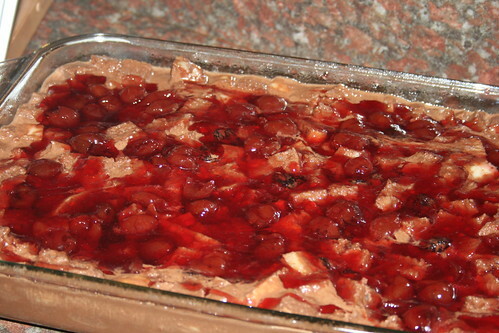 But I'm not going to complain about a cherry-chocolate combination, and this was pretty easy to make! I whole portion of okara the G4 produced. Mix all the ingredients well, pour it into a well oiled 9x12 cake pan: flat the surface and drizzle with oil. Bake at 400F oven for 20 minutes or until done. I made this and it was great. I just didn't add the preserves. Thanks.